Jalapeño Inferno is a modern Sonoran Mexican restaurant concept, with two locations in Scottsdale, Arizona. Family owned and operated for over 15 years, Jalapeño Inferno is known for their award-winning customer favorites, like their extra fluffy flour and corn tortilla chips & salsa and their creative margaritas. 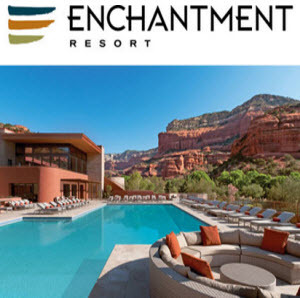 Terry and Laura Craig, the founding team behind Jalapeño Inferno, believe in providing outstanding service, consistency, and truly exceptional flavors to their guests, at a reasonable price point. Jalapeño Inferno is a North Scottsdale neighborhood favorite for casual Mexican, Southwestern and Tex-Mex dining. You will find it bustling with activity day and night throughout the year with families and people of all ages. However, even though it gets busy, we have always managed to find a seat right away. The menu features a large number of items, some traditional and some more “Americanized” dishes. You will also see hatch chiles featured in several dishes, which is a nice treat for hatch chile fans. Some of our favorite items include the Fajitas, the Espinaca con Queso dip, the Tacos al Carbon, (which come with an excellent tomatillo salsa), Spinach Enchiladas and when we are in the mood for something cheesy, we opt for the Cast Iron Skillet Chicken. Greatest “Margarita Madness ” menu in all of Scottsdale, creative, unusual and fun! Made from scratch authentic Sonoran Mexican cuisine with a contemporary twist. Specialties include sweet green corn tamales,chile crusted salmon,tequila-lime shrimp and mango chipotle barbecue tacos. Dine on the spacious outdoor patio with North Scottsdale’s only creekside dining. Be sure to check out the different theme nights, current favorites are Coastal Baja Saturdays, Wine and Dine Thursdays (half priced bottles from extensive list), and Taco-Time Tuesdays (all you can eat tacos), call for details. Occasional live music on Cantina patio. Terry and Laura Craig, experienced local operators, purchased the existing Jalapenos in 2000 and have evolved it into what is represented today. The expanded Cantina offers giant plasma TV viewing for all the games, as well as its own awesome patio seating.The dining room side has its own CREEKSIDE patio –a rarity in the area. A favorite local hangout with authentic modern Mexican cuisine and the best Margarita on the planet! The food at Jalapeno Inferno Market Street is amazing! Our server Dee suggested a boss margarita that was the best I have ever tasted! The Manager came around a few times asking if everything was ok and always asked if she could get us anything…everyone here was super friendly and Dee was very knowledgeable and attentive. They have amazing chips that they bring out at the start of the meal that includes the amazing flour chips and very good salsa. We shared the Lobster Street tacos and Sonoran Grilled Chicken Quesadilla, everything was delicious and so full of flavor. For first-time guest, they bring out a Free tamale they have us was phenomenal! Wow! Everything was delicious! 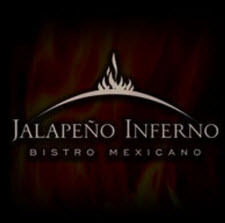 This was our first time eating Jalepeno Inferno, but won't be the last!